Join the Thrivent Member Network-Greater Iowa for a hunger simulation, food drive, and food pantry tour at DMARC. Des Moines Area Religious Council (DMARC) provides programs to feed, assist, and nurture the needs of greater Des Moines by working with over 125 member congregations. DMARC offers a Food Pantry Network, Housing Stability Fund, and Interfaith Engagement. The DMARC Hunger Simulation Experience is an interactive way to understand food insecurity in our community in which participants encounter a few of the challenges that many of our neighbors face when trying to provide good nutrition for their households. Event is ideal for adults and youth ages 6th grade and up, but children can accompany adults through the simulation. A tour of the DMARC warehouse will follow the simulation. The DMARC Food Pantry Network is always in need of healthy items like: Peanut butter, fruit canned in juice, and low sugar, whole grain cereal. Keep in mind that cash can purchase 2-6 times more food through DMARC’s system than the average shopper could buy at the local grocery store. You can give online through our virtual drive – or invite family, friends, and colleagues to give – and help even more people! 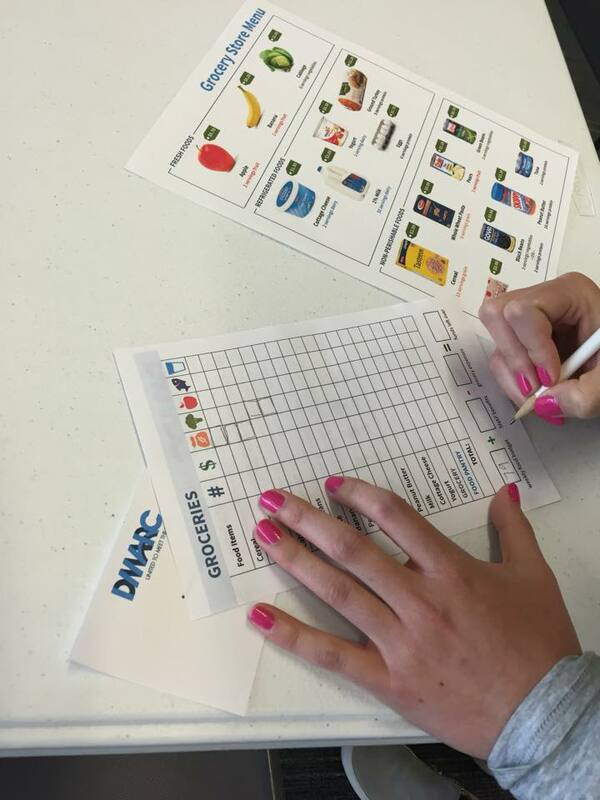 The DMARC Hunger Simulation Experience is an interactive way to understand food insecurity in our community. Event is ideal for adults and youth ages 6th grade and up, but children can accompany adults through the simulation. A tour of the DMARC warehouse will follow the simulation.